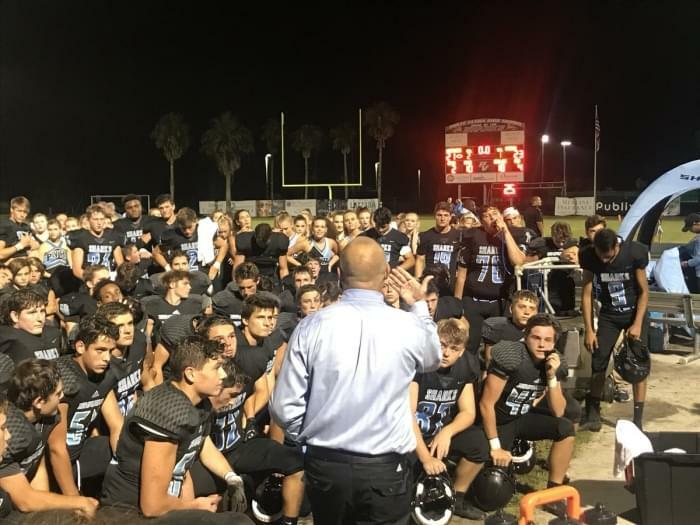 Head coach Matt Toblin led Ponte Vedra High School to heights on the football field the program had never seen before. This includes a run to the 5A state title game in 2016. Toblin will now take that experience and success to the Bolles School. Toblin accepted the head coaching position at Bolles Wednesday night taking over from the retiring Wayne Belger who coached the program the previous two seasons since the retirement of Hall of Famer Corky Rogers. Toblin joined “XL Primetime” on 1010XL to discuss the new job, but started by talking about how hard it was to leave Ponte Vedra. “Not just from the football standpoint, but also the way that community has opened their arms to not only myself but to my family as well,” Toblin said. “They threw baby showers for both of my kids and I don’t think we bought diapers for the first two years of their lives. Toblin says that even though it was difficult to leave Ponte Vedra, it is comforting to know that he left the program in great shape moving forward. “That’s one of the things that helps is understanding that we left it better than we found it,” Toblin said. “Those kids that are still there, I’ve had an opportunity to impact their lives. Taking over at Bolles is a dream come true for Toblin. “I feel like Bolles is the destination job in the area,” Toblin said. “It’s the only place I would have ever even considered leaving Ponte Vedra for. “As a kid growing up in Mandarin and being a high school football fan, whether I was in middle school, or a high school player, or a coach, the admiration that the community has for Coach Rogers and the Bolles program is second to none. Did Toblin see this day in his future? “From a far, it’s one of those deals that I thought I would never be able to be a part of,” Toblin said. “I never pictured myself to be able to have the opportunity to be at a place this special, or even more importantly that my kids would have the opportunity to go to school here. Toblin was 39-18 in his five seasons as head coach of Ponte Vedra.